As fun as it is to find out where your great-great-great grandparents came from, the real promise of genetic testing is in the realm of disease. By screening for the genetic markers associated with hereditary disease, people can make proactive, potentially even life-saving decisions about their health. That is, as long as the tests are accurate. The genetic testing company Invitae is under fire after a client pointed out a genetic test had mistakenly missed a rare mutation linked to hereditary colon cancer in one patient. While the patient had the genetic variant associated with Lynch syndrome, the test came back negative. Now the company is re-testing 50,000 blood and saliva samples in order to find out how widespread the false negative screening was. Invitae sells tests through healthcare providers—doctors or genetic counsellors typically order genetic screening panels for patients who may be at risk for developing certain conditions. In early August, a genetic counsellor alerted the company that it had returned a negative result for the genetic variant in question after the patient had already tested positive for the gene in a previous test done by another lab. After updating the testing procedure, it turned out Invitae had accidentally left out the components necessary to detect the Lynch syndrome variant. The error, an Invitae spokesperson told Gizmodo, had gone unnoticed for 11 months. The company is still in the process of re-processing samples tested in that time period. So far it has found two patients who received false negative results. The company says it expects less than 10 patients will wind up having the mutation after retesting, based on the rare occurrence of variant. The variant is known as the Boland inversion, and it is only one out of several mutations linked to Lynch syndrome. Having Lynch syndrome does not necessarily mean a person will develop colon cancer, though it does mean there is a far more increased likelihood that they will. Lynch syndrome itself is linked to less than 5 percent of the 140,000 new colon cancer cases diagnosed in the US each year. But trust is paramount when it comes to genetic disease screening. Based on the results of a genetic test, patients may be faced with serious decisions—like say, whether or not to have children if they have certain heritable conditions, or whether to take preventative health measures like a mastectomy for women that test positive for harmful mutations of the BRCA genes. Eric Topol, a geneticist at Scripps Research Institute in San Diego, said the results are concerning. While the FDA has placed increased scrutiny on health-related tests sold directly to consumers by companies like 23andMe, the same scrutiny does not apply to tests ordered for patients by clinicians. 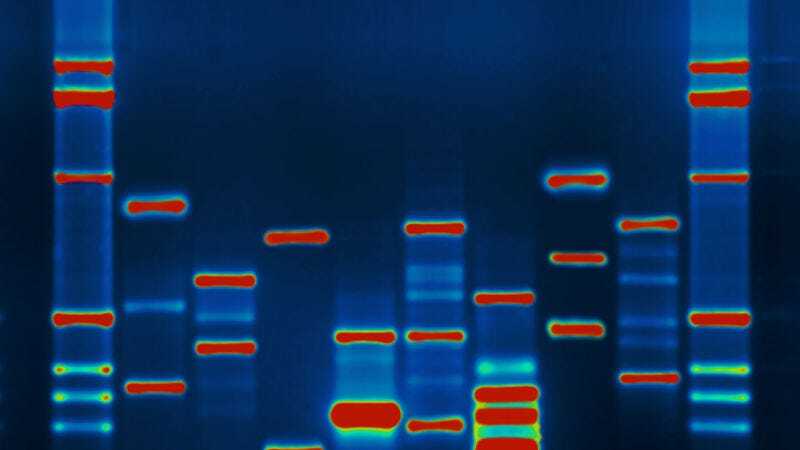 “When these genomic assays are done centrally, there’s little to no regulatory oversight,” Topol told Gizmodo. While this error was relatively minor—impacting only a handful of people with a rare marker for a disease they may never even develop—it highlights a troubling problem. Invitae said that it diligently combed through its tests and found no other errors. Since having a marker does not necessarily mean a person will eventually develop a condition, errors in genetic tests could be difficult to detect. A lab could easily miss something without anyone ever finding out. At the same time, genetic screening is increasingly an important part of how doctors make decisions about a person’s health. On Twitter, some experts questioned whether the incident points to a need for more oversight of the validity of test analysis. “[I’m] not so sure that would help,” Topol said, adding that he wondered how many other errors there might be out there that have just never surfaced.